You can choose to have translated all the software strings in a particular language or just the strings that don’t have translations in that language. To place the translation order with the chosen human translation service provider, fill in the Payment Details and accept the terms and conditions. Altough it is not compulsory, you are encouraged to also fill in the Comment for translator form. This can improve the translation accuracy, by making it clear for the translators what it is they are to translate and what tone should be used. After you get the translations from your chosen provider, you can approve them in bulk or send them back individually for revision. Also, once a string is translated, you can communicate with its translator for whatever reason using the Comment feature next to any of the translated strings (see the speech bubble-shaped button). To send the string back for reviewing, check the box next to Also ask for revision when sending a comment to the translator. An email will be sent to you when a translator makes a comment on one of the strings. After approving the completed translations, set your desired language for Import (and, if you want to overwrite the old translations, check the box next to this option) and make the final click on Import approved. 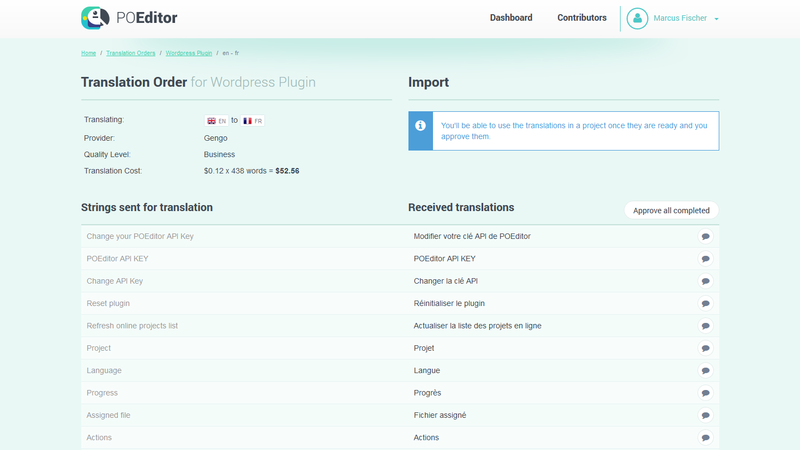 You now have the translated strings that you’ve just purchased uploaded in your software localization project. It’s as easy as that. 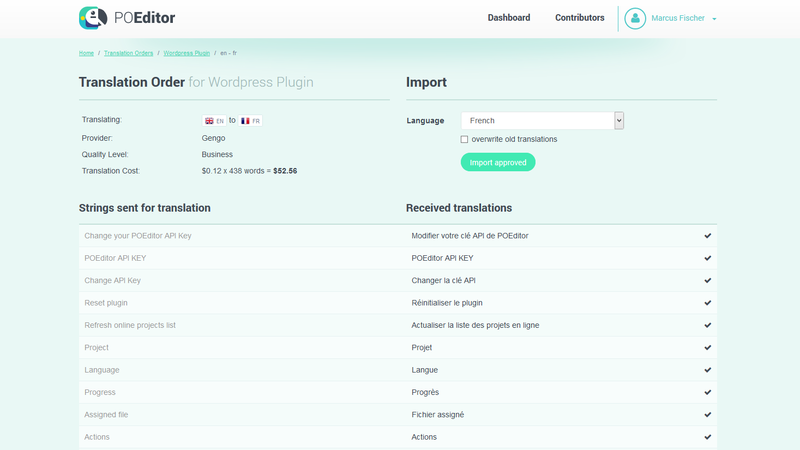 You don’t have to create any account anywhere else than on the POEditor localization platform, and you can have your software localized by professional translators. 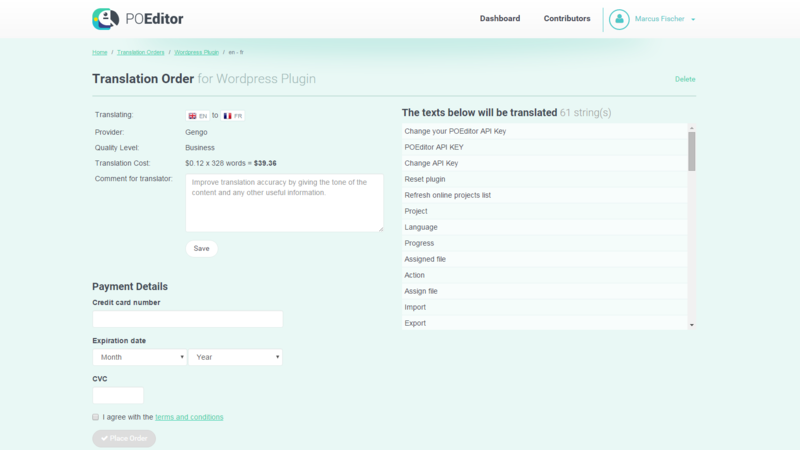 All the orders that you make will stay listed in the Translation Order page, with their corresponding stats: Pending for when you’ve only requested a quote, Submitted for after making the payment, and Completed for when the submitted strings are translated. Finally, please note that there is a lower limit of $5 for any translation order. 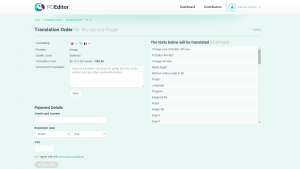 Also, if you cannot find in the language menu a particular language you want your strings translated into, it’s because it is not provided by our partner in pair with the source language you’ve selected. A list of language pairs in which Gengo offers professional translation services is available here. 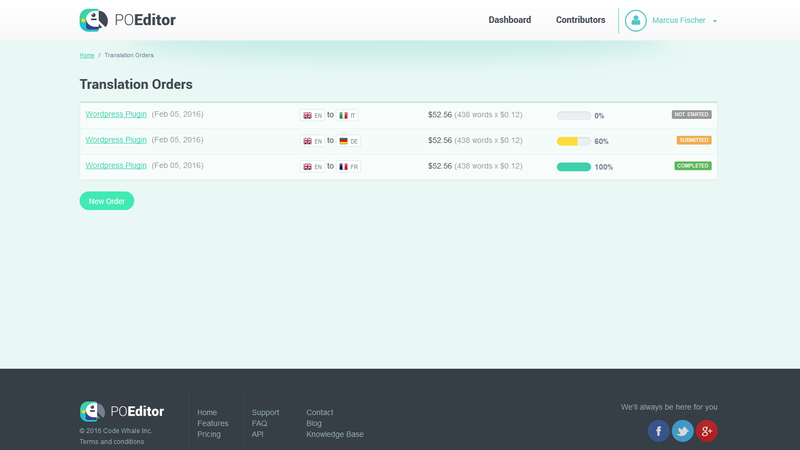 Enjoy your improved localization prospects and do drop us a line if you have any feedback!